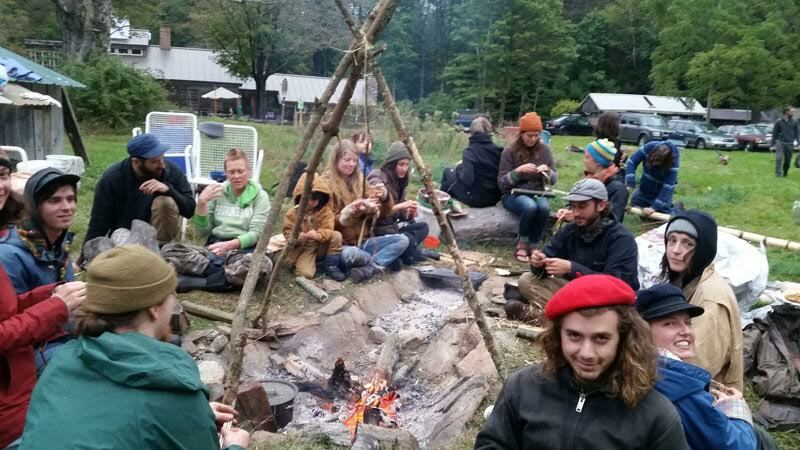 Join us for an amazing two day regional Earth living skills gathering this fall in the beautiful woods and meadows of Leverett at this year's Groundnut Gathering! Our 5th gathering, we're grateful for the chance to bring together inspired teachers and enthusiasts from around the area to connect with each other and the land as we learn and share new skills! The gathering will run Saturday morning, 9/22, through Sunday afternoon, 9/23. Camping is available and encouraged. There will be 4-5 workshop blocks, time to work on and share personal projects, trade items, and share meals and community. Proceeds cover organizing costs and materials, and directly plant 5 community fruit trees per participant through Help Yourself Edibles! Food not included or provided. BYO ingredients for outdoor kitchen and potluck meals. ​Sorry, no pets. ​Please inquire for special financial arrangements, no one will be turned away for lack of funds. Proceeds support public fruit tree planting initiatives. Space is limited -- Register by completing the form below! Animal Tracking From the Ground Up! 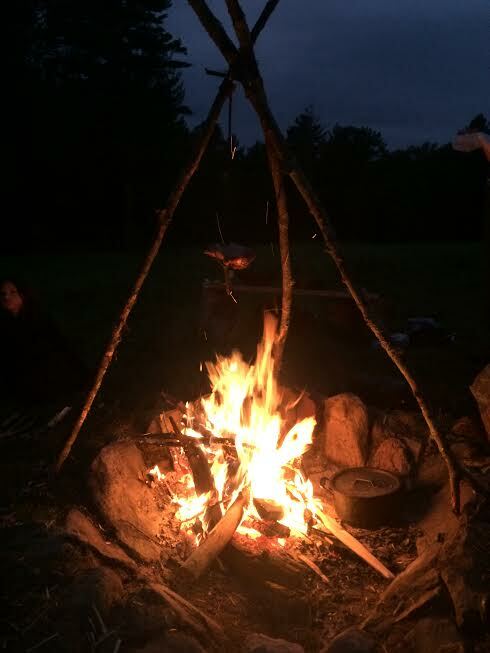 Potluck Dinner: 6:00 Fire, Singing and Stories! In this class we will learn simple and safe care and use of knives, hatchets and axes. Learn how to effectively use and control edges, and keep them sharp. We will also make simple tools that can be used in camp: wedges, mallets and benches. Soar through your super-consciousness in a small group breathwork session that will support you mentally, physically, emotionally, and spiritually. Breathwork is intentionally using our breath to access different states of consciousness in order be fully present in our cognitive, physical, emotional, and spiritual bodies. Our full presence allows our pain and memories to safely reintegrate, no longer shamed and shoved down. We then have room to live in our innate joy, peace, and purpose. Breathing happens. Breathwork is the act of using our most basic and powerful tool, our breath, to live fully as the divine beings that we are, each with a reason for being on Earth. Our ancestors knew how to breathe. We forgot how to, and now only use a tiny bit of our full lung capacity. In this workshop, we will breath in nature, our home. We will breath in the “wild” that is life. Bring a blanket and pillow and wear comfortable clothing. Come learn how to transform sheep’s wool and other fibers into yarn using a drop spindle - a simple, portable and accessible version of the spinning wheel . We will go through the entire process from prepping fiber, ways to make your own drop spindle from different materials, effective ways to use it, and how to use your finished spun product. Do you enjoy spending time on the water... at gorgeous streams, in connection with nature? Periods of focus interspersed by excitement? Come join us to gain well-rounded insight into the practice of fly fishing. We'll learn about handmade insect imitations to feed ourselves. We will begin to learn skills you can use to catch your own food, process these aquatic animals, and tie the "flies" used to catch them. In this session we will be learning about connecting with one species in particular- the wily troutlet, learning how to stalk it, where it hides in moving waters, how to tempt it to bite...even tickle it with your hands if you dare! We'll use a holistic lens to these crafts, including exploring the equipment of fly fishing from Japan to England. This tradition dates back to at least 1,800 years ago on the Astreus River in Macedonia, described by Roman Claudius Aelian, and likely much, much earlier into the mists of time. Learn how to skin, dress, quarter and butcher a sheep! In this workshop, we'll learn about butchering, charcuterie and anatomy as we transform a whole, freshly slaughtered (off-site), noble cousin into food for us humans. All parts of the animal will be used including organ meats, bones and blood. Lastly, we will learn to use the sinew for string, hooves for glue how to begin hide work. Folks will be expected to roll their sleeves and participate. All this will be done, of course, in the respectful context of interdependence. If you are interested in attending the off-site slaughter, please let us know. Learn how to tan a squirrel or rabbit pelt from start to finish. From skinning, scraping, soaking in brains to stretching dry and smoking! Come experience how to transform animal skins into beautiful leather, suede and pelts. Folks taking an eight month hide tanning course, Hide Camp, will be joining us. They have been tanning deer hides over the past few months and will being working their hides along side of us. Learn how to create fire with the ancient method of fire by friction - no matches; no lighter! With the simple components of wood, string, and tinder, we will craft a fire with a bowdrill kit, a fire building technique used by humans for tens of thousands of years. We will go over how to make a proper fire structure, how to find tinder on the land for a tinder bundle, and how to use the bowdrill to make a coal. Learning this survival technique will leave you feeling more resilient, capable, and adaptable than before. Learn the basics of traditional leather craft in a hands on way. We'll cover types of leather and how they are produced, historically and present, see and touch a number of leather items - containers, clothing, and artistic, and understand how a leather project transforms base materials and brings a vision to life. Everyone will get a working, hands-on knowledge of all basic leather working tools and their proper uses, and different component skills - including stitching, cutting, measuring, beveling, dying, stamping and more. Limited to 6 participants. Leather materials fee: 0-20$, sliding scale. None turned away for lack of funds. Dive into the fascinating, insightful and omnipresent world of tracking with an empowering introduction to the awareness skills we can all tap into to begin to read the stories told by the ground around us! We'll start by reviewing a dozen or so mammal species in our area, their habits and sizes with a focus on foot morphology and walking patterns (gaits), getting a chance to look at real foot specimens and plaster casts. Then we'll use our bodies to enact a variety of gaits together to familiarize ourselves with ranges of motion, foot-fall rhythms and patterns, trail width and spacing. Then we'll take a walk around the woods with an eye for tracks, sign and trails, seeing how substrate, weather and seasons all interact to create a never-ending, always changing tapestry of information at our fingertips. No experience necessary! There exists a deep connection between land, humans, and myth. In this session we will explore that connection through our imaginations and senses. We will listen to some ancient myths and folktales, practice a few tricks for telling stories, discuss what it means to carry these stories within us, and take that theory out into the land. You can come for just the stories or stay for the whole workshop. Children may be more interested in the first half (the stories), but are welcome for the whole time if they wish. Felix works with K-12, college and adult students at a number of programs in the Valley teaching nature awareness and homestead skills, in programs at public, private and home schools, public workshops and organizations including Mass Audobon, Wolf Tree Programs, the Vermont Wilderness School, and Earthwork Programs. He has lead programs at NorthStar Teen Center, Four Rivers Charter School, the Paulo Friere Social Justice Charter School, and taught wild edible plants and earth living skills classes at UMass Amherst and Hampshire College. He also directs Help Yourself, inc.
Devin is from Michigan and Atlanta, Georgia. Though interested in many old and new skills, wool, cordage and fiber arts are of special interest. They have extensive experience in livestock and game butchering, traditional meat preservation, hide work, metal work, bone and stone carving. They find spinning yarn and crafting to be a peaceful compliment to the daily runaround. Ned grew up amidst the swamps of Middlesex county, MA. In 2008 he founded Greenwich Forest Garden at Hampshire College. An ecosocial fellow, he works with whole-systems approaches to existence and"sustainability." Ned speaks some Cymraeg (Welsh) and is interested in other indigenous languages and the places they occupy in our current world. He is fascinated by enlightenment ideas, philosophy, and our human tendencies toward socio-political tribalism. Ned is fixated on questions of how to improve relations between our many tribes, and how to pursue common ground. Emily has been practicing breathwork for three years with licensed Transformational Breathwork facilitators and on her own. She has been facilitating others in breathwork for one year. She is passionate about it as a practice and wants to share it with others as a tool for self-realization. She is a creator of art, a musician, a gardener, and a farm worker. She believes the full expression of everything is worth the journey- emotions, humor, relationships, etc. Maggie is passionate about wilderness skills and nature connection. She is deeply driven by her commitment to being an active community member and strives to live in harmony with the land and the beings that dwell in it. Maggie teaches at WolfTree programs and Leapfrog Programs. Apart from nature education, Maggie works at Sawmill Herb Farm. Deborah's career in education started with the Hurricane Island Outward Bound School leading 30 day river trips with youth at risk some 30 years ago. She was lucky enough to work and travel from the Florida swamps to the hills of Wales and the streets of NYC. Deborah studied bush craft in the UK with the West Yorkshire Bushcraft group, in the US at the Tracker School and Mountainsong Expeditions. She also studied at the Blazing Star Herbal school with Gail Ulrich. "I am so happy to be bringing my skills in progress to the Ground Nut Gathering!" Erica has had a deep love of nature for as long as she can remember. Growing up homeschooled, she was fortunate enough to attend a variety of nature connection programs (quite similar to Wolftree programs), which nurtured her passion for wilderness skills, cultural technologies such as song and storytelling, and creating regenerative, nature connected culture. She began attending the Art of Mentoring at age 11, and has been on staff there since she was 17. She has staffed and organized many nature programs for kids and teens all over the world, from Scotland to Santa Cruz CA. She now lives in Montague with her partner Kevin. Together they raise a herd of dairy goats, and joyfully manage a small homestead. Andrew has worked with leather for years, and seeks to animate his vast array of leather work, which includes sculpted animals, armor, bags and more, with a spark of life and magic. He is passionate about herbs, plants, and all living things, and loves tending the numerous baby trees in his care while they mature for his many community garden projects. He dreams of vibrant, dynamic, Earth-centered communities united by a common vision of one-ness. ​Jacquelyn grew up running around the woods, eating herbs straight from the garden, and sleeping outside whenever possible. In 2007 she took part in Amherst High School’s Survival Living class and became interested in learning how to thrive without the trappings of the consumer world. Since then she has worked for Hawk Circle, Vermont Wilderness School, Wolf Tree, Earth Works, and Art of Mentoring programs. In 2011 she began volunteering for Wolf Tree and has since been excited to take part in many programs as both staff and student.She has a BA in Historiography and Alternative Historical Narrative from Marlboro College in Vermont and an MA in Viking and Medieval Norse Studies from the University of Iceland. She has been living in Iceland and Denmark for two years, and recently spent six months working on farms in Devon, England and exploring the landscape and stories of Dartmoor. She is passionate about mythology, history, and food cultures, and the ways in which they connect people to place. Ethan was born in New York City and lived there until he was five. He then moved to Amherst MA and discovered the natural world through the Hitchcock Center which he quickly ditched when he realized he could play with knives and fire at Earthwork Programs. It was there that Ethan fell in love with primitive skills, particularly tracking. Ethan’s fervid desire to track only grew during the following years at Earthwork Programs, as well as the several years that he spent rampaging and marauding through the woods under the questionable guidance of a strange man called Felix. Ethan spends his days rock climbing and tracking whenever he gets the opportunity and runs one of the largest tracking communities online. Tracking remains the only reason he retains his sanity through the winter months. Jasmyn Atsalis-Gogel is passionate about teaching wilderness skills to all ages. 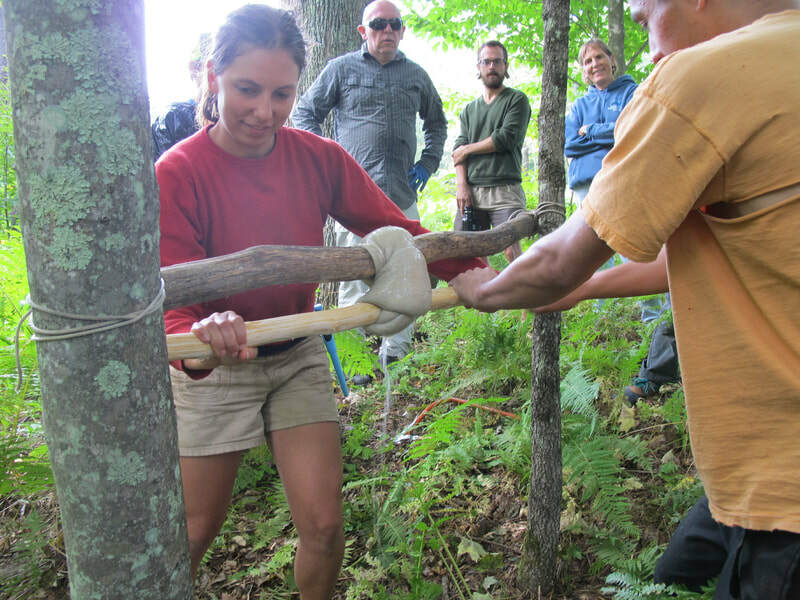 She has worked at public and private schools, adult workshops, and programs through the Vermont Wilderness School. Since early childhood she has loved playing outside and learning about the natural world. She attended the same wilderness programs she now teaches from the age of six on. She continues to deepen her skills through workshops, and programs. Her goal now is to bring that passion, and knowledge to others, fostering curiosity and comfortably in nature. Her specific skills and passions include fire by friction, basket making, land navigation, earth caretaking, wild edibles, animal and plant processing and preservation, tracking and simply exploring. Special thanks to the many volunteers who make this event happen! Anya Klepacki, Emily Coble, Maggie Ranen, Craig Surrette, Felix Lufkin, Colton Francis, Michelle Kaplan, Dean Colpcak, Devin Roark, Samantha Sarvet, Rose Cherneff, Mike Parham, Deborah Chamberlain, Liz Scheffy and the land we gather on! "I went last year and I can say for certain it was nothing short of life changing for me -- a beautiful weekend outside, new experiences, real skills taught in a shared and humble way with patience and respect for the seriousness of the tools and resources in use, a central campfire flame kept alive all weekend to cook and share meals and meet around, and best of all being surrounded by people showing up to create community in real time. I was so amazed by the tightness of the community formed in just 2 days! It felt like such a blessing, and I walked away feeling more whole in myself and my abilities and more ready to engage with others and the earth. Ah I can't say enough!" Once submitted with payment, a confirmation email will be sent to you. Will camp on site. Will spend the night elsewhere. Just coming one day. For PayPal, complete payment with the button to the right after submitting form. Please indicate attendee(s) in note line. Please select "For Friends and Family". If using a card, please add 3%.